Following the brutal killing of black foreigners in South Africa, we do hereby ask the South African government to address and arrest this issue as soon as practical possible. Foreigners are butchered in a horrible and unheard way and their businesses are destroyed. 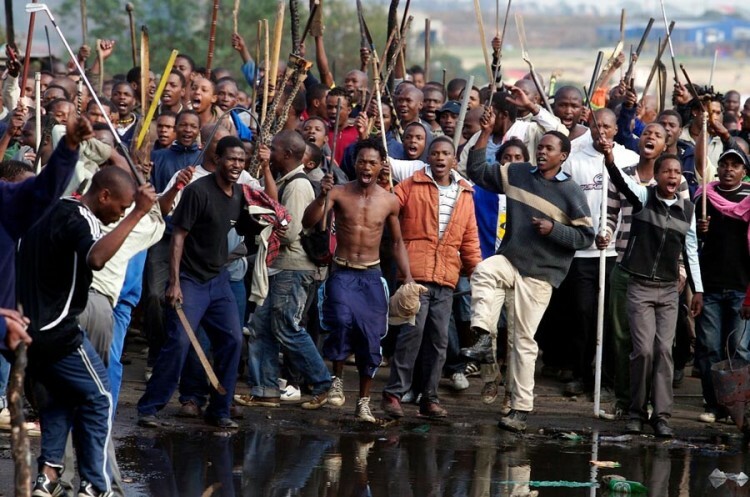 We believe the Xenophobic attacks on Foreigners in South Africa are a serious breach of human rights. We are appealing to the authorities in South Africa to safeguard the lives of foreigners and their families. We also request for an inquest to be undertaken to establish the perpetrators so they may be brought to justice. It is the responsibility of the South African government to upheld the safety of foreigners in South Africa. We, the undersigned, call on the South African government to address and stop the killing of foreigners in South Africa. We believe that the government should have acted swiftly to stop Xenophobia in South Africa and we should not have so many foreigners butchered. It is our belief the Government should come up with a law that protects foreigners to put a Stop to Xenophobia in South Africa. The Help Stop Xenophobia in South Africa petition to South African Government was written by Melson Shoko and is in the category Neighborhood Living at GoPetition.